I think you may be right. I did see a copy for sale at a memorabilia show. The artwork wasn't brilliant I have to say. It was on sale for £80! I didn't buy it. Rich. 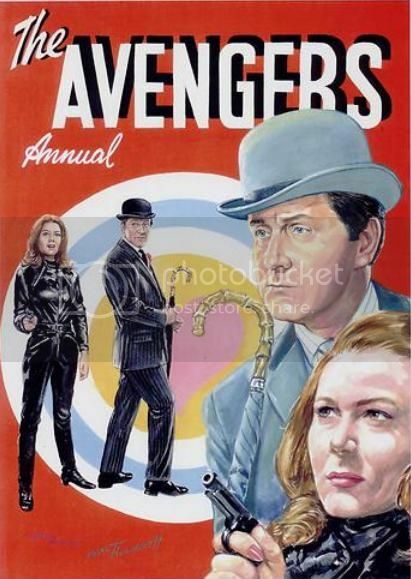 It sounds like this one..
Another newly compiled TV Comic Avengers strip is now on 'The Forget Me Notes' site. Steed and Tara and The Colonel's Last Day. And another newly compiled Steed & Mrs Peel TV Comic strip 'Alpha 1' at 'The Forget Me Notes' site. Spotted this on eBay. Seems to be a rejected cover from a 1966 or 1967 Avengers Annual. I can see why they rejected it; the ugly pic of Emma and poorly executed 'Avengers' logo. Still of historical interest nonetheless. I have one of these. It was indeed a rejected annual cover, and the artist may a limited number of reproductions. Steed's not too bad. Emma looks more like Cathy--actually, I've sort of started pretending it's supposed to be Cathy when I look at it. Interesting! Another entry in the Avengers bad-art gallery. Fascinating. An interesting 'what if' but not the best executed Avengers art we're ever likely to see. I'm with Timeless. That's Cathy, not Emma! Her hair even looks closer to blonde than auburn to me. Perhaps the artist was an ardent Cathy fan and thought she ought to be on the cover? Just bought a French Avengers book off ebay. Called Chapeau melon et bottes du cuir by Didier Liardet (not the one that was reissued as Avengers Companion), published in 1998. Can't read it of course, but there's 160 photos, a lot of the usual ones, but quite a few rare ones. Has anyone got the later edition of this which had more pages and 150 extra photos. If you have, are there any rare photos among the extra ones Thanks Rich. I'm working my way through all the Avengers novelisations still. I actually liked The Floating Game - I felt it had quite a decent Avengers feel despite the author saying he'd not watched the show. Too many Targets actually annoyed me a little bit with silly, factual mistakes. For instance, Anthropology has NOTHING to do with the study of apes! Deadline was well written but was more like a Gale era episode than a Peel one. the best way to see Avengerland is to come a week earlier and attend Deadmans treasure hunt the last week of June. I've sent you an email with contact details for Chris Bentley, this includes when this year's Dead Man's Treasure hunt event will take place and where. Rodney Marshall has a series of books that has reviews of each Emma Peel and Tara King episode. 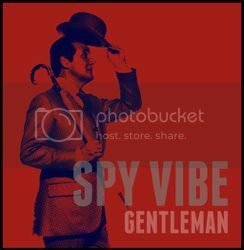 In December a themed book comes out which will include elements of the music.